Our All Levels Vinyasa classes are designed to be suitable – just like the name says – for all levels. Ideal for beginners and experienced yogis. Our Beginners Vinyasa drop-in classes are specifically designed for those new to yoga. You will learn about safe form and the basics. Ideal for beginners and experienced yogis the classes involve flowing series of postures to help you build strength, flexibility and inner peace. 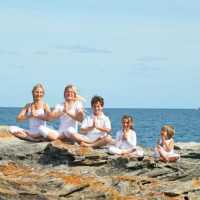 If you’re into yoga, you’ve probably heard of Tamara Yoga- well known for their high standard of dynamic and nurturing yoga classes in Claremont and blissful yoga retreats in Margaret River and Bali. Acknowledged for teaching authentic yoga, Tamara Yoga is an internationally recognized Teacher Training school. Every Tamara Yoga teacher is a highly qualified graduate from the school’s rigorous two-year teacher training programme. The good news is, Tamara Yoga is expanding to South of the River, opening a new studio in Bibra Lake at a beautiful property called the Bibra Lake Urban Eco Farm, next door to the Steiner school, on the corner near Adventure World. The new studio location is tremendously peaceful, surrounded by trees; it&apos;s a little piece of the countryside right in the metro area. Research has shown that practicing yoga can be beneficial in healing or managing high cholesterol, chronic back pain, migraine headaches, bronchial asthma, insomnia, unexplained infertility, PMS, anxiety, depression and stress related disorders. Clinical evidence indicates yoga is beneficial for curing heart disease, improving strength and flexibility, improving sleep, balance, dexterity, and endurance. Yoga increases energy, concentration, attention, memory and well-being. Yoga improves posture, moves the joints through full range of motion, helps prevent osteoporis and increases happiness. If you’re new to yoga and feel that yoga might be good for you, Tamara and her teachers warmly invite you to class. There’s such a welcoming atmosphere in every class, you’re bound to feel at home. Visit www.tamarayoga.com or call 9385 2242 for more information. Classes start May 13, 2013. 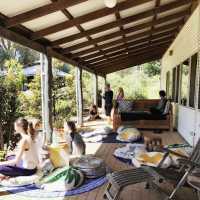 Tamara Yoga Bibra Lake, located 22 Gwilliam Drive, Bibra Lake.